In recent years, Kodi has increasingly become an essential online streaming solution for millions of free streaming fans across the globe which has given birth to the need for a Kodi VPN. Kodi is most famous for its massive number of video Kodi add-ons. If you’re not familiar with Kodi add-ons, you’re missing out on the most important aspect of Kodi. Kodi add-ons are available to you to stream movies, TV shows, live TV, sports, documentaries, news and so much more. Kodi VPN has become a one-stop solution for binge watchers. Apart from the endless benefit Kodi add-ons offer, there’s a big drawback and that’s regional limitations. Hundreds of thousands if not millions of Kodi add-ons are location-locked content and cannot be accessed outside their respective regions. In the same way, copyright issues and DMCAs can get you into trouble with law enforcement authorities. But, you can easily access all such limitations add-ons and remain anonymous while streaming with a Kodi VPN. Millions of people around the globe have Kodi installed on several Operating Systems and hardware platforms such as televisions and remote controls. Since Kodi allows users to play and view most online streaming media such as videos, music, and podcasts along with digital media files from local and network storage media, Kodi users need the built-in capability of a VPN to help them access location-blocked add-ons and content available in different regions. PureVPN is a huge believer in unlimited accessibility. Its features allow you to browse anywhere on the internet and stream your favorite channels like Netflix US, Hulu, Amazon Prime, etc., at best speeds. With PureVPN, you can take full advantage of Kodi and all of its features and services. Plus, a Kodi VPN also helps combat internet-powered attacks by hackers and surveillance agencies. Coupled with the security benefits of a VPN, this combination enhances fun and entertainment. Those who prefer cord-cutting services over cable TV understand the importance of a VPN service. Kodi has officially announced a new version Kodi 18(Leia) on their website. It is in beta mode and there is a possibility of malware attacks while you use the service. Get PureVPN Kodi Addon now to stay protected. How Does a VPN Help with Kodi? Simply put, a Kodi VPN not only allows internet users to freely browse the internet by connecting to different VPN servers around the world through its global network, but it also masks their IPs, thus making them completely invisible to cyber-criminals, hackers, and third-party agencies. Kodi can be configured on various devices such as Android, IOS, Linux, Windows, Mac OS, Xbox, and PlayStation. You can enjoy streaming content at blazing-fast speed with a Kodi VPN regardless of where you are in the world. Installing a Kodi VPN is much easier than you think. With a simple click, you are redirected to the download page for a particular device, and the process begins instantly. With the best Kodi VPN, you don’t have to worry about your ISP throttling your speed or third-parties monitoring your internet activities. You are completely undetectable on the web! Itself Kodi is not illegal. Many content producers and media houses do hate it though. Since Kodi is open source, any one can create any sort of plugin which can be used to access content from unauthorized sources. However, just because a few people are misusing Kodi for getting access pirated content, it would be unfair to ban or restrict Kodi. Try understanding it this way; there are god drivers and there are rash drivers. The fact that rash drivers exist doesn’t make the car a bad invention. Did you know a major chunk of the internet is hidden from you? Thats where Kodi VPNs come in. They allow Kodi users to access hidden content such as restricted live streams and addons. Go to the Download page on Kodi and select the 32Bit Installer. If you are a regular user of Windows OS, you will see the common options: Run, Save or Cancel. Choose Save to download the application at your desired location. Double-click the downloaded file to install Kodi. During the Installation, you may be asked to follow some easy steps. It is best to go with the default settings. Start by downloading Kodi’s latest app for your Mac. Keep in mind that the app comes in a disk image format. Double-click the file to open it. To install that app on your Mac, simply Drag the Kodi icon into the Applications folder. Now, try opening the Kodi app. Though it depends on your current Gatekeeper settings, you may get an error on your first try which would be something like this: cannot be opened because it is from an unidentified developer. To get around it, you can simply CMD+Click the Kodi app and select Open to play Kodi. Or, you can also go to your OSX Security & Privacy settings from the System Preferences menu, and choose Anywhere where it says Allow applications downloaded from. Viola! You are now ready to binge watch on Kodi. Go to your Android menu and look for Settings. Open Settings and then go to the Security menu. Look for the Unknown Sources option and check the box to enable it. The feature will allow you to install the Kodi app for Android. Now, go to the Google PlayStore to download and enjoy the latest Kodi app. You will need to go through the same steps for your Android TV as the menus are same across the app. The latest Kodi deb file. The Xcode application which is available on the Mac App Store. Start by connecting your iPhone or any other iOS-powered mobile device to your Mac. Once the device is connected, open the Xcode application that you have downloaded from the Mac App Store. Now, select Create a new Xcode project, then Single View Application, and click Next. Fill out Product Name and Organization Identifier fields. Then, click Next. You will be asked to save the file, which you can save on the desktop. Click Create. It’s up to you whether you want to share the contact details with Xcode as the app usually asks this permission. However, it’s not mandatory! Select Fix Issue, which will open up a dialogue box. Click Add. Now, enter your Apple ID to log in. Once signed in, select Choose to open App Signer. Then, select Browse to choose and open the Kodi deb file you downloaded earlier. Now, choose the profile you created earlier with the identifier. Proceed to add Kodi as the App Display Name, before clicking Start. Enter a file name, before clicking Save. Open Xcode again and choose Windows. Choose Devices to select yours from the left pane. Once you have selected your device, look for a Plus sign at the bottom of the right pane and click it to choose and open the .ipa file, created earlier. Now, disconnect your iPhone and unlock it. You can now enjoy Kodi on your iOS 12 or your iPhone via a Kodi VPN. Got an Apple TV? You can setup Kodi on your Apple TV, and enjoy high-speed streaming with the app. Start by plugging your Apple TV to your Mac through a USB-C to USB-A cable. After the device is connected, open up Xcode and choose to Create a new Xcode project. Select Application from the main menu under the TvOS section. Now, choose Single View Application, before clicking Next. Now, proceed by creating a ‘New Project’. You can fill out the product name and organisation name fields with any details you want. Do the same when filling out the Bundle Identifier field and here the details would be written in a reverse-domain style – for example, com.arcade.kodiappletv. Make sure that all the fields are filled out before clicking Next. Finally, save the project on your desktop or any other location from where you can access the file easily. Now, head back to the Xcode’s main window where you should be seeing an error stating Matching provisioning profile cannot be found. To get past the error and resolve it, simply click Fix Issue. However, to fix the above issue you would require a free active Apple Developer account. So proceed to sign in using the associated Apple ID and password. Though the application continues to ask for details, it can be overlooked as it’s not mandatory. Continue by selecting the correct Apple ID and clicking Choose. Once done, the Xcode application will fix the issue to make a provisioning profile. Now, choose Apple TV from the drop-down which you can find at the top left side of the Xcode application, along with other options such as the Play and Stop buttons. Once you are done with the Xcode application, open iOS App Signer. Now, choose the right Signing Certificate and proceed to fill out the Provisioning Profile field. Choose the project name you have created on the Xcode application earlier. Select Input File to browse, location and select the Kodi .deb file, downloaded earlier. It’s up to you to whether you want to fill out the App Display Name field and give it a unique name or leave it. Click Start after making sure that all the fields have been filled out with the correct details. Once you click the start button, the application will proceed to create .ipa file which you can install on your Apple TV. Go back to the Xcode, and go to Window, then Devices, and choose Apple. Now, choose the IPA file you have just created. The app will now install the files on your Apple TV. You can now enjoy Kodi on your Apple TV fourth generation. A few years ago, there used to be two or three Wi-Fi devices in every household on average. They would be connected to the same Wifi router, but would work as independent devices hosting different apps and functionalities. Nowadays, there are at least a dozen smart devices in every house, ranging from smartphones, laptops, smart TVs, tablets, gaming consoles, streaming devices. Some tech lovers go to the extents of upping their smart home game by adding smart coffee makers, washing machines, smart lights, smart locks, wireless IP cameras, and even connected motion and smoke detectors. If you happen to have taste for a smart home, then you already have multiple streaming devices at your home. It’s always convenient to be watching your favorite TV show in the home theatre, and then continuing the remaining of it in your bedroom on your tablet. This calls for having the same content and functionality across all devices. If you are a Kodi user, and want to access content from geographically limited add-ons on all your devices at the same time, you can do so by installing PureVPN on all your devices individually. PureVPN supports up-to five multi-logins, which means that you can use the same VPN account on 5 devices at the same time. But isn’t it boring to install PureVPN on all your devices separately when you can just configure it on your router and get default VPN functionality on all of your devices? That is right. Installing PureVPN on your WiFi router is fast and simple. It takes very little effort to install it, and works great on all the popular WiFi routers. Note: Setting up Kodi to attain the maximum benefits requires a step-by-step process, which hardly takes much of your time. Advice: We understand the process contains jargons which might be unfamiliar to you. You’ve got nothing to worry about as we’ve got you covered. Just follow the easy process to get the best internet experience possible. Step 4: Launch KODI and install PureVPN Addon for KODI. Click on the “Files” icon. Click once on “service.purevpn.monitor-1.3.0.zip” for the installation of add-on to begin. When you select “PureVPN Monitor OpenVPN, a new window will appear, click Add-on Settings. Done! Now you can access region-specific content Kodi addons with complete anonymity via PureVPN Kodi add-on. Start by turning on your Amazon device, and then going to the Settings > System and then Developer Options. Select and turn ON the Apps from Unknown Sources, and then the ADB Debugging options. You may see a warning alert when you turn on the unknown source, but you can select OK to ignore the warning as you can always turn it off later. Go to Fire Stick main screen. Now, go to Search and type Downloader to choose it. Select Get. Once you select Get, the download will start. Once the downloading is finished, a notification will pop up at the bottom right corner. Go to the Menu and choose Launch Now. Choose the URL section to download either of the two compatible versions: Jarvis 16 or Krypton 17. For Jarvis type the following URL bit.ly/kodiarm161 and for Krypton bit.ly/ kodi17apk. Click Next and then Download to get the desired Kodi version. Click Install when the downloading is finished, and the Kodi installation will soon begin. Once the installation is finished, open Kodi and enjoy your favorite shows. Kodi is an open source media player which has millions of users worldwide. Its popularity can be attributed to the fact that it contains thousands of free add-ons, and gives you access to infinite content. It’s not just video streaming that Kodi is known for. Many people use Kodi for listening to music as well. Kodi can be installed on virtually any device that has a screen and connects to the internet. It’s absolutely free and offers good quality streaming. With a Kodi VPN, you can change your location and access all the content in an instant. A Kodi VPN will also keep you safe from all online malice such as hacks cyber-attacks and ransomware. For anything that you want to watch on Kodi, you will need to install a relevant add-on. If you want to stream content from different channels, look for an add-on that supplies content which is being broadcasted on the add-on. It is important to know that only a few add-ons can be found in Kodi’s official add-on repository. If you are looking for an add-on which is not available in the official repository, you will need to download to from an unofficial source and ensure that you have enabled downloads/installs from unknown sources in your settings menu. If your stream is constantly buffering and ruining your streaming experience, it may be due to ISP throttling or bandwidth restrictions imposed on you by your ISP. You can easily evade these restrictions and get the ultimate buffer-free streaming experience by getting PureVPN and becoming completely anonymous online. There are many Kodi build out there which provide a lot of addons, plugins, and great skins which you can set up in just one click. They save a lot of time, which you would otherwise use up in finding the right addons for your viewing pleasure. The best builds which provide great content and have got skins pleasing to the eye include Misfit Mods Lite and Titanium Build. Kodi is an open source media player, which makes it quite insecure and easy to exploit. Research and stats show that Kodi streamers get subjected to the highest numbers of cyber-attacks such as cyber-stalking and hacks. A hacker, who may have gained entry into your network can know what you are watching and who you are communicating with. He can even eavesdrop on your conversations by taking control over the microphones in your smart devices such as smartphones and home-assistants. What is the latest Kodi version? The latest version of Kodi is v17.6 and is known as Krypton. A new version, the v18 is currently out in beta, known as Leia. Since it is in beta, it is prone to a lot of malware and phishing attacks. Currently, it’s mostly the developers who are using Kodi v18 Leia to create and test new plugins and add-ons. Best country to connect VPN for using Kodi? The best country to connect your VPN for using Kodi is the US. This is because there is little to no content that is inacessible for access in the region, unlike in other countries where there are heavy censorship laws to avoid a lot of streams and entertainment related content. Once you connect your PureVPN on a US server, everything that you want to watch will be in your access. Since PureVPN provides you with great online security, you will also remain safe from getting penalized or prosecuted for accessing restricted content. Why do you need VPN for Kodi? There are many issues connected with streaming on Kodi on an insecure connection. It can expose you to malware, cyber attacks, hacks, eavesdropping and a lot of other online malice that can cause you harm. Without PureVPN, you may end up getting very slow streaming speeds which can ruin your streaming experience. Once you install PureVPN, you become completely invisible online. Kodi is an entirely free and open-source media player application developed by the XBMC Foundation, a non-profit technology organization. While the media player is open source, and the content is all free, it does open up endless possibilities for video entertainment for streamers from all around the world. Due to its open-source nature, Kodi has its equal share of problems, most of which revolve around hackers and cyber intruders who can gain entry into your devices to snoop on you and steal your data. With Kodi VPN services, users can remain secure on the web while enjoying uninterrupted high-quality streaming of their favorite TV shows, sports, and movies anywhere and anytime they want. Hi 🙂 after installing VPN for OpenELEC and launching it, when I click on ‘Set Up VPN’ you say that should pull up a list of providers, but NO list comes up. All that shows is a link that says ‘set up private internet access’ and clicking on that just prompts an error. We’ve recently updated our guide and have added the solution to this issue. Please go through this guide again and you’ll not find this issue this time around. I installed purevpn on my nvidia shield as an app. Will this allow all the features I need to use kodi thru vpn? Yes it will. You’ll be able to access all the major PureVPN servers which are equipped with the features that you want. The service doesn’t work with Kodi on firestick, I found out after signing up. Support says this blog is dated, it would be nice if this is documented somewhere. same issue with amazon firestick tv. PureVPN Addon for Kodi latest version is not working. I have installed PureVPN App for the Firetv additionally. That’s working fine, but PureVPN Kodi Plugin is not working, although Firetv App is not connetcted. I’ve forwarded your complaint to PureVPN support. It would be of great help if you would visit PureVPN support page and create a ticket detailing your problem. It will be sorted out within a few days. How to add channels on Kodi TV? Bryant, you only need to add the relevant add-ons to watch your favorite TV channels. There are multiple add-ons available on the web. If in case you find a channel which is geo-restricted in your region, you can use PureVPN for Kodi to unlock that channel. How can I watch English Premier League on Kodi? My husband setup Kodi on our Apple TV using PureVPN connection. It was great and works fine now. Enjoy your online experience, Catherine! Thanks for the awesome guide now I can watch UK and Australian channels on my apple TV. I’m glad the guide helped you. Enjoy! I am using PureVPN to access hulu. I have setup Kodi and Exodus with OpenSubtitles on my Amazon Devices (Fire TV). Nothing else added. Would I still need to use a PureVPN to protect me from ISPs? Axel, you should use PureVPN when browsing the web as it’ll keep you secure against malicious entities. Enjoy your online experience! Is it possible to run a VPN on Fire Stick with Kodi? Yes, absolutely. The guide is mentioned under Step 3. Have a look. Enjoy! Thank you soo much for the comprehensive post regarding Kodi VPN Setup. I want to update my Fire TV please guide me. Hello Adney, Follow these steps and update your Fire TV. 1. Switch on apps from unknown sources by visiting Fire TV Settings / System / Developer Options where you will see a toggle – switch it on. 2. Install ES File Explorer by searching for it on Amazon App Store by using the search button at the top of the screen. 3. Go to Favorites within the ES File Explorer and add the following as favorite to the list – http://fireunleashed.com/as . You can name the favorite whatever you like, for the example sake, I will name it “fire”. 4. Open the favorite by clicking it within the dropdown list. 5. Click the AppStarter install link with your Fire TV remote and install the application. 6. Go into AppStarter settings and under the update section, update Kodi. The add-on is not working for OpenELEC 8.0.4 on Raspbery Pi 2. It says that is connected but it doesn’t connect at all. I used an app that checks the external IP address and it still says that its the same. Any suggestion? I am getting error when trying to install 1Channel add-on. – From the main menu, navigate to Settings > System Settings > Add-ons > Turn On Unknown Sources > Click Yes. – Download k3l3vra’s repository and save the zip file somewhere safe. NOTE: When k3l3vra’s repo gets added to fusion, we will update this post, but manually downloading the zip is the only current method to install. Thank you soo much for the helpful guide I would like to know that whether Kodi VPN add-ons are still working despite authorities shutting them down? Hey Alwin, while the government is trying their level best to cut down Kodi, know that there is only little that they can do. Kodi is legal and their is nothing wrong in using it. Yes some add-ons might not be certified or classified as legal but majority of them are good to use. I am using the add-ons and they are working perfectly fine. At the end of the day it really comes down to personal choice. In my opinion, authorities can not shut them down. Cheers!! I’ve been using Kodi for quite a while for multiple purposes. Mostly, I use the service to watch sports online. Many a times, I use PureVPN to change my IP address so I can watch channels which aren’t always available. However, these days, I’m seeing that the authorities is blocking multiple channels on Kodi and considers the service illegal. There are also reports that they are detaining people who are using Kodi service. I want to know if I’m safe when I’m using Kodi while being connected to your VPN service? I’m not doing anything illegal, and I obviously don’t want the authorities to detain me while I’m using Kodi VPN. A quick answer will be appreciated. Purevpn has been providing the best vpn service for kodi adons, I have been using it for the past 1 year and i could not have been happier and satisfied from the services it offer, i was recently traveling to Europe, and it provided me the servers that i wanted to connect from all over the world, but just some time it slows the internet speed, but it serves my purpose of streaming hence i am quite satisfied with it , but all i want is that purevpn should increase there bandwidth speed and must also work on their customer services which i find lacks some insighst. hence the crust is that purevpn is the best vpn for kodi, i rate purevpn 8/10. Thank you for the post. I was just wondering how I can use open vpn on kodi before going thourgh this post. I went through a couple of articles on the web which had some configurations but none of them worked well for me. I have become a kodi person now and been using purevpn for around half a year and now I have found the best solution which was always there but i never accessed it. So thank you and will bug again if I’m gonna have any problems. Cheers! Wow Very comprehensive Guide. I want to install 321Movies add-ons on Kodi manually. Anyone please share steps? Launch Kodi > Go to Settings icon placed at the top > Select System Settings > Click on Add-ons tab located at the left side > Turn ON Unknown Sources. Go to Settings icon > Click on File Manager > Double click on Add Source. A box will appear where you need to click and type the URL http://repo.cazwall.com/sc > Click OK > Now type the name of the media source Simply Caz or SC > Click OK.
click on Install from Repository > Select Caz Repo > Video Add-ons > 321 Movies > Install >! A coolest aspect concerning Kodi is that you can use it to watch live TV, much the same as with a cable membership But It’s better, because it’s free! You can stream or watch almost all famous channels live, including AMC, HBO, ABC, CBS, FX, ESPN, etc. Streaming a live TV on Kodi is very simple, Its works on almost every device. Indeed a complete guide on Kodi VPN! Appreciate your efforts in jotting down all the setups required for installing Kodi. Surprisingly, Kodi is working great on my system thanks to PureVPN. Before trying PureVPN or this guide, I have always searched around the Internet to find the right guide on downloading and installing Kodi, and using the right addons for watching my favorite shows. However, i have never found any great guide, until i came across this guide! Secondly, i didn’t come across any trouble with installing or using the VPN. on the contrary, using the VPN for Kodi is way simpler than i initially thought. on the other hands, many other VPNs I tried in the past had many issues, either with installation or working. Well this is the best and easiest guide I have come across on setting up vpn on kodi. Most of the previous guides I have gone through were quite hard to grasp and the best thing is, they also replied to my queries on Twitter when I encountered connection issues which was basically a glitch in my setup. All in all I would recommend going for PureVPN if one wants a hassle free streaming on Kodi and that too with no bounds. Fusion has now been blocked stopping the installation of PureVPN, is there another method of installing PureVPN please. I just successfully loaded my Purevpn on my Amazon Fire TV. One problem. On the bottom of the tv screen there is a black rectangle. How can I get rid of or at least hide it? I have 3 fire sticks, 3 iPads, 2 laptops and a PC in my home., all running from same router. Can I use one VPN subscription or do I need 9? Last VPN service I purchased never worked. A VPN subscription will help you to connect to any 5 devices at a time. This is up to you which devices you choose. However, if you want to connect all 9 devices at a time, you will need 2 PureVPN subscription accounts. How van I install purevpn on kodi now fusion is no longer online or available? I have a X96 android tv box. When I try to install the purevpn app in playstore I get the message that the app is not available for my device. This guide really needs to be rewritten since the TVADDONS.AG is no longer around, so it cannot be installed. Anyone have any other suggestions as to how to install PUREVpn on Kodi 16.x or 17.x? We’ve updated the guide. You can re-visit and check the outdated content has gone. Please let me know if pureVPN is working with Kodi on that device. With PureVPN Kodi add-on, you can have the flexiblity to hop around different country’s server in a user friendly way. I am trying to install purevpn on my Kodi (Isengard), following the above steps, but when I try to “install from zip file” I got this message: “Add-on does not have the correct structure”… Any help? Is there any problem with Isengard? Thanks in advance! COULDN’T RETRIEVE DIRECTORY INFORMATION. THIS COULD BE DUE TO THE NETWORK NOT BEING CONNECTED. AND I PAID FOR TWO YEARS. IT WILL TAKE MORE THE SEVEN DAYS TO GET IT WORKING. This is the Kodi repo link, check it out. After searching, it appears that this does not work on Android (using a Firestick). I was able to install this on my AppleTV using the Web method (repo method did not work) and i can log in and everything but i cannot get the VPN to actually connect. When i click a location, the monitor window comes up blank and nothing happened. What am i missing? i followed the guide but it keeps telling me “failed to install add-on from zip” any advise? I have kodi on raspberry pi3 and using osmc. When I follow the steps to install purevpn I get an error installing from the zip file. Are there any known issues at the moment? Go through the link provided in the first paragraph. I’m receiving an error when attempting to install from the .zip file located at the “Kodi-repo” you create in step one. How do I fix this? Does this only work on Kodi v17? I am trying to set this up using the instructions above for Kodi v16 however get the zip file cannot be installed?? Are there instructions to do the same for Kodi v16? The Kodi v16 steps have also been demonstrated in the guide. You can re-check it. I freshly installed newest release of Kodi and keep getting a Failure to install message from attempting. I disabled installing from unknown sources protection option. Anything else i should try? You can check out our support for it. I have 3 firesticks…do i need 3 vpn’s? You can access PureVPN on five different devices. As long as you’re within range, you won’t find any trouble. My Pure VPN client fails to install from the repo: service.purevpn.monitor-1.3.0.zip. You can visit our support center to get the guide of Kodi Krypton. Feel free to connect our support. Your issue will be resolved. Have you tried our dedicated guide to it? hi ather i followed your krypton guide but when i went to install from zip file it did not show my usb drive to open the service.purevpn.monitor-1.3.0.zip, how do i get around this problem. hope you can help. I am using an Apple TV and was able to add the PureVPN Monitor version 1.3.0 successfully. However it doesn’t show it trying to connect to the service when selecting a country under Change or disconnect VPN connection. It just shows blank with the OK button. Do I need to setup a port forward option or do something else here? Contact our live chat support. They will fix your issues remotely. I have just tried installing this on the latest version of OSMC for the Raspberry Pi3 and I keep getting an error that the OpenVPN executable isn’t working? Any help? It won’t run on my kodi box 17.4 krypton. Can somebody assist me? Getting an error message: “the openvpn executable isn’t working.” Any ideas on a fix? I installed and configured purevpn kodi plugin on my android tv system and on a macbook. On Android Tv system the plugin starts but when I start a server connection appears this error: “the openvpn executable isn’t working. Check the log, then froma a command line pormpt type ‘openvpn’ and fix any problems reported”. Is it working just on linux system? We’ve updated our guide. Please go through it again and it will work this time. The current version 1.3.0 does not seem to work on LibreELEC. I got the addon installed but starting the VPN ends with an error. Why does this not work on an android box. I downloaded kodi addon 1.3.9 and installed it on kodi 17.6 and entered my credentials and it failed with error check log message. I went to your support chat box and they tell me the addon is ONLY for linux and raspberry pi???? We’ve updated our guide recently. Go through it again and see if it works. We’ve updated our guide recently. Go through it again and you’ll find the solution to your issue. We’ve updated our guide. Go through it again. Yes, it will. In case of any hassles, feel free to let us know and we’ll find a solution together. I like it and really I thank you for guiding us and provided the step by step process. with these steps, I install the VPN for the Kodi app and now I am enjoying the Kodi app platform. The Addon don’t work on Kodi 18 Leia. Please update, thanks. So, do I have to have purevpn on my pc and/or in kodi? on my PC would protect ALL traffic? right? With Purevpn Kodi add-on, you can only access geo-restricted content on the Kodi App itself. This article really covers every aspect of Kodi. 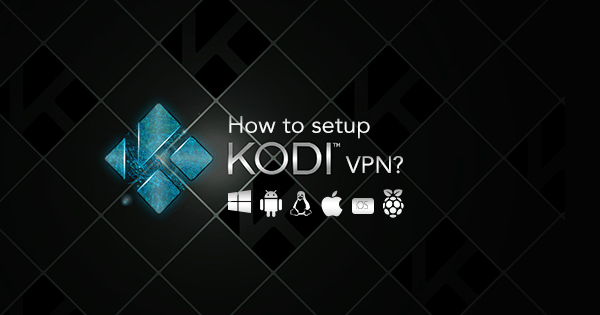 everything you need to know about VPN and Kodi is well explained in this article. I have been searching the net for a while now, but this article gives the details of what I needed. Thanks a lot for the appreciation. We continuously work hard to serve all our users need. Kindly contact our 24/7 live chat support. An expert engineer will help you with your issue.